To determine whether you are disabled, and thus qualify for benefits, the Social Security Administration (SSA) will send your claim to a state agency of disability examiners. 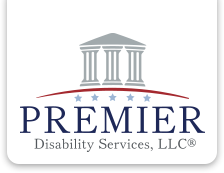 In many states, the agency is called “Disability Determination Services,” or DDS, but the agency goes by various names. For instance, Florida calls its agency the Division of Disability Determinations, California calls it the Disability Determination Service Division, and Pennsylvania calls it the Bureau of Disability Determination. Claims are reviewed by DDS at the initial and reconsideration stages of the application process. 1) Are you currently working? The first test the examiner will apply to your file has nothing to do with your condition, but whether you are working, and, if so, how much you are working. For both the Social Security Disability Insurance (SSDI) program and the Supplemental Security Income (SSI) program, a disability claimant cannot work and earn more than an amount equal to or greater than what is known as SGA, or substantial gainful activity. If you are currently working and are making this amount or more, DDS assumes you are not disabled. 2) Is your condition severe? As the second step of the evaluation process, the DDS will assess the severity of your condition and how it limits you. For instance, if you have moderate hearing loss, but with hearing aids you are able to hear 95% of what people are saying, the DDS is not likely to consider your condition severe, and your claim will not move on to the next level of the evaluation process. 3) Does your condition meet a disability listing? If your medical records indicate that you have a severe medical condition that matches the requirements of an official Social Security disability (“blue book”) listing, you qualify for disability and the claims examiner will immediately put you on “benefit receipt” status. The examiner will forward your file back to the SSA for further processing. 4) Are you able to work full time? This test has to do with how your medical and/or psychiatric conditions limit your ability to work. If you have a medical impairment or disability that makes to impossible for you to work your prior job full time, or another type of work full time, you can get benefits. Typically, the vast majority of disability claims evaluated by DDS are denied, requiring disability claimants to have their cases heard by an administrative law judge at a disability hearing before they can be approved for benefits. If you or someone you know is unable to work due to a medical condition, please contact us for a free evaluation of your case! How is my Monthly Benefit Calculated? For disabled adult child benefits, the amount depends upon how much the parent worked and earned. In general, all Social Security Disability benefits are very modest. The average SSDI benefit for a disabled worker in 2018 will be about $1,197 per month. For a family, the average benefit will be approximately $2,051 per month. Family members are eligible for an additional benefit, up to 50% of the disabled worker’s benefit. Once the Social Security Administration (SSA) determines that a worker has sufficient credits to permit entitlement, SSA calculates the “Primary Insurance Amount” based on wages or self-employment income on which taxes were paid. There are many different calculations, and the appropriate one is chosen based on the worker’s date of birth, and either the date the disability began, or the date the worker died or became entitled to a retirement benefit. The benefit calculation is very complex, and it is performed by SSA’s computer system when an individual applies for benefits. Re-computations occur automatically when an individual has additional earnings that positively affect the potential benefit. The Supplemental Security Income (SSI) program uses different rules entirely. SSI is an income-based program designed to help aged, blind, and disabled people who have little or no income and do not have a strong working history to qualify for SSDI benefits. Because of this, any other income a SSI recipient receives will generally reduce his or her monthly SSI benefit amount. In 2018, the Federal maximum for monthly SSI benefits will be $750 for an eligible individual. But, since a recipient’s monthly benefit amount is reduced by subtracting countable income, the average SSI monthly benefit may be less. Some States and local areas also supplement SSI benefits, meaning the State pays additional money to increase the recipient’s monthly Federal SSI payment to bring the payments up to a minimum cost of living. If you or someone you know is unable to work due to a medical condition, please contact us for a free evaluation of your claim! Monthly Social Security and Supplemental Security Income (SSI) benefits for more than 66 million Americans will increase by 2.0 percent in 2018. The 2.0 percent cost-of-living adjustment (COLA) will begin with benefits payable to more than 61 million Social Security beneficiaries in January 2018. Increased payments to more than 8 million SSI beneficiaries will begin on December 29, 2017. The table below provides an overview of the changes from 2017 to 2018.